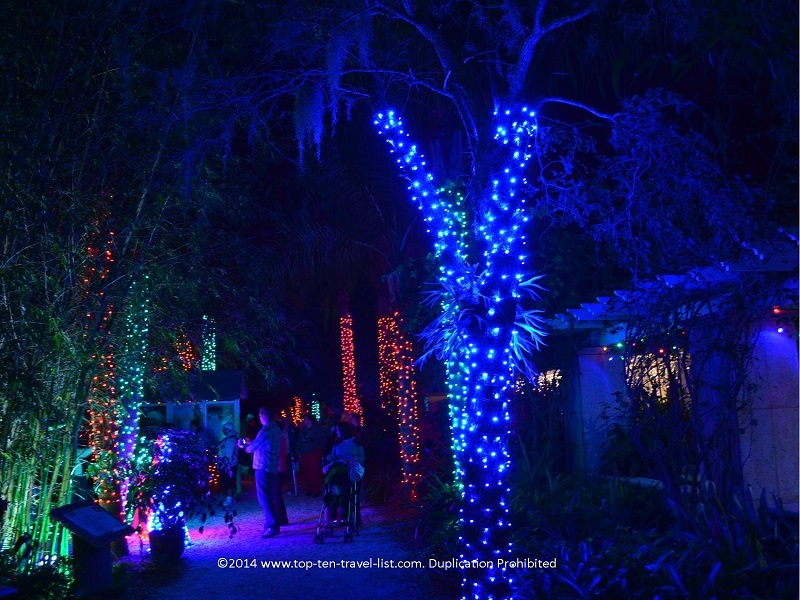 Attraction of the Week: Florida Botanical Gardens Holiday Lights - Top Ten Travel Blog | Our experiences traveling throughout the US. 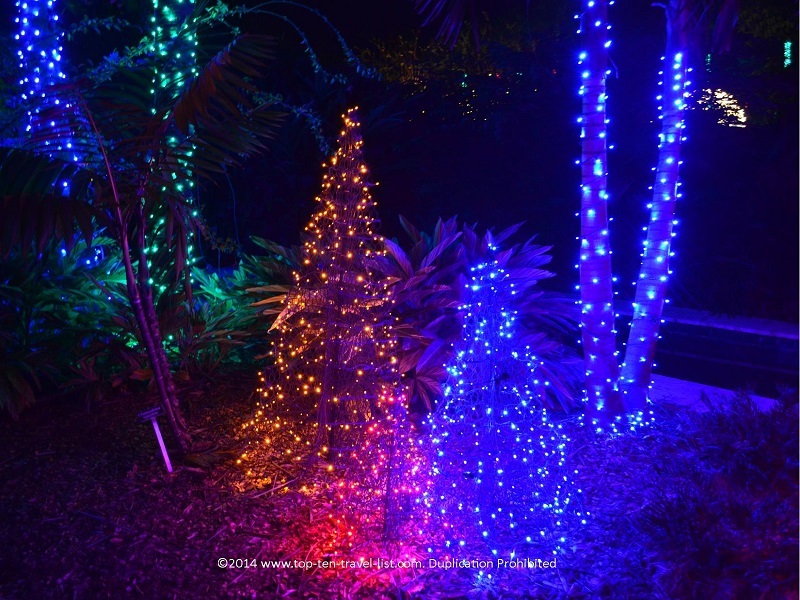 The Florida Botanical Gardens, located in suburban Tampa, is a wonderful year-round attraction featuring over 30 acres of maintained gardens. 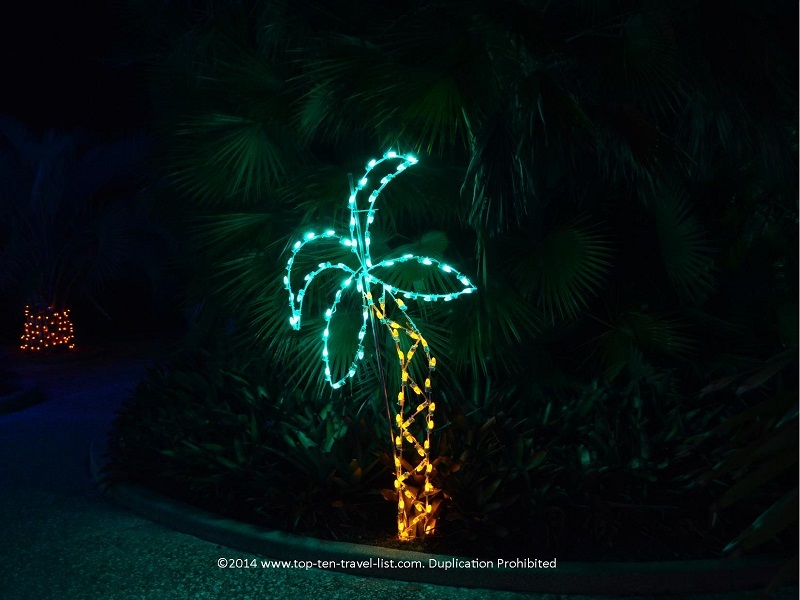 A few of the numerous gardens you will find include: a tropical fruit garden, a succulent garden featuring desert plants, a palm garden, and a butterfly garden. You will also find 60 acres of natural pine flatwoods and wetlands, which are home to over 150 species including bald eagles and gopher tortoises. 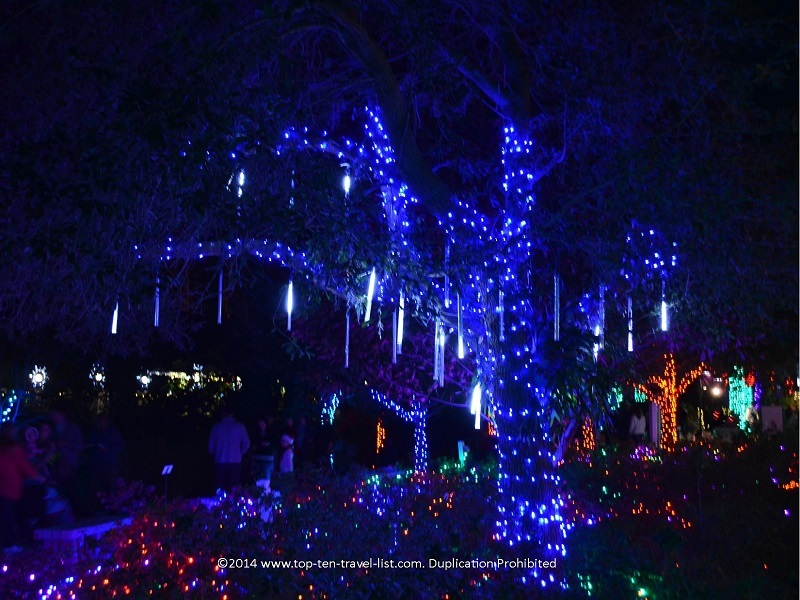 Each year, the gardens are transformed into a winter wonderland with the festive Holiday Lights in the Gardens celebration. 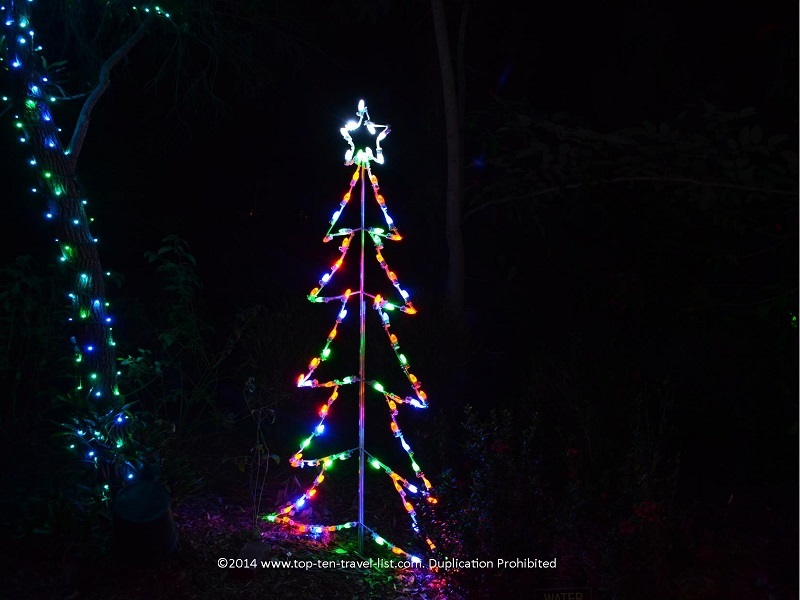 Donations for the event go towards maintaining the gardens. 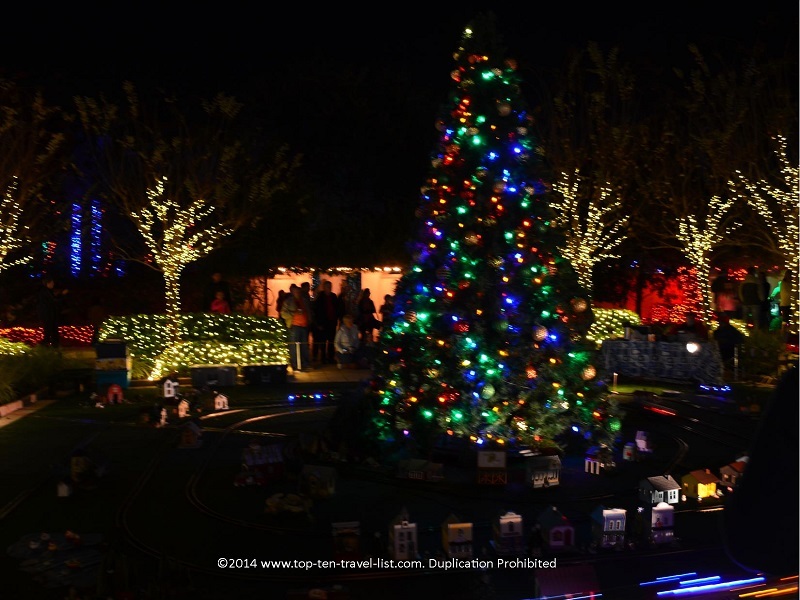 In addition to more than a half million lights, visits from Santa, special holiday treats, and live music are on the schedule. 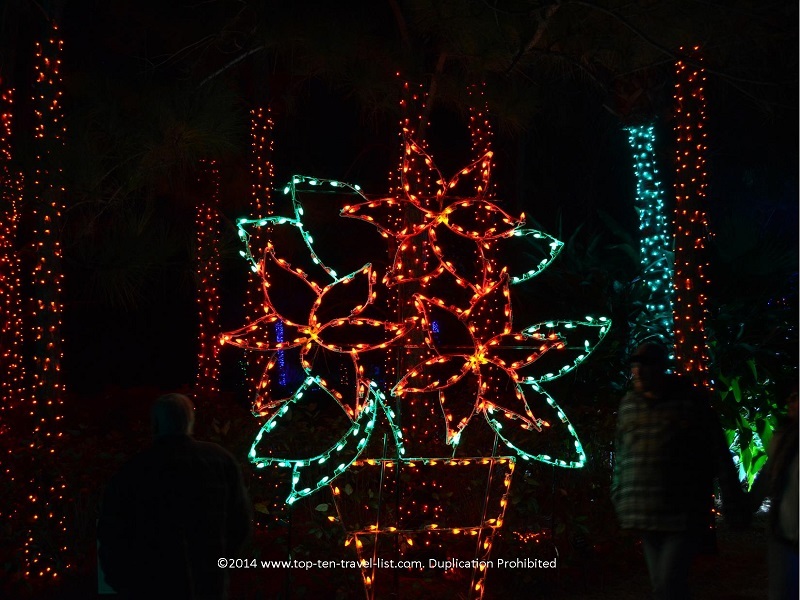 This is a great affordable family event ($4 suggested donation) for anyone residing in or planning a vacation to the Tampa area over the holiday season. 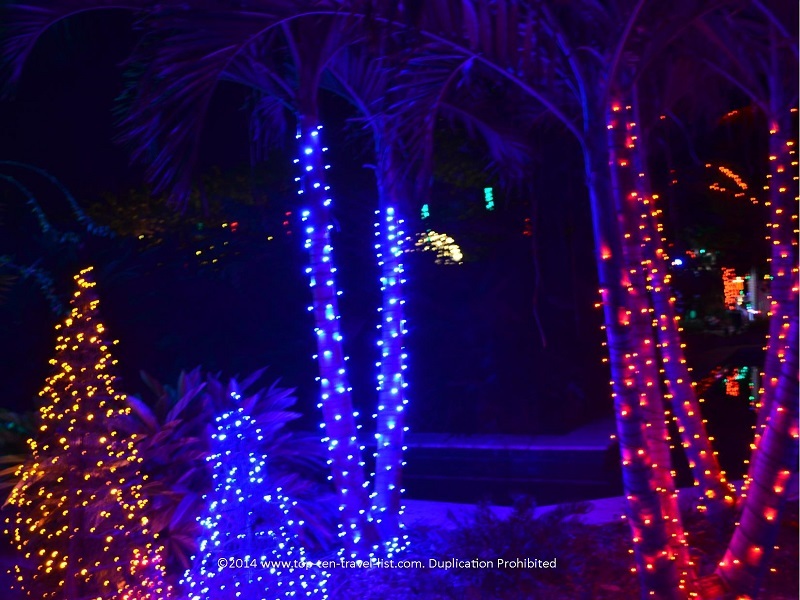 By this time of the year, the temperatures will have cooled down enough to enjoy a cool night stroll around the gardens. 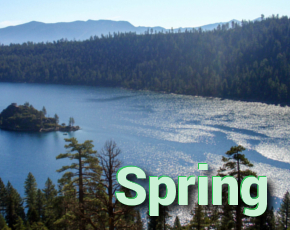 There are plenty of great photo opportunities, so be sure to pack your camera! 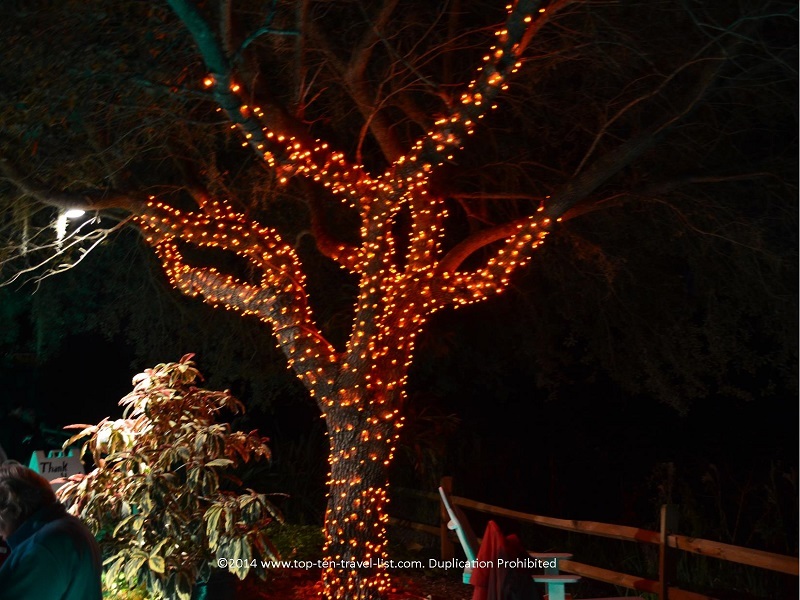 Below, I have posted a few pictures of the beautiful gardens lit up for the holidays! 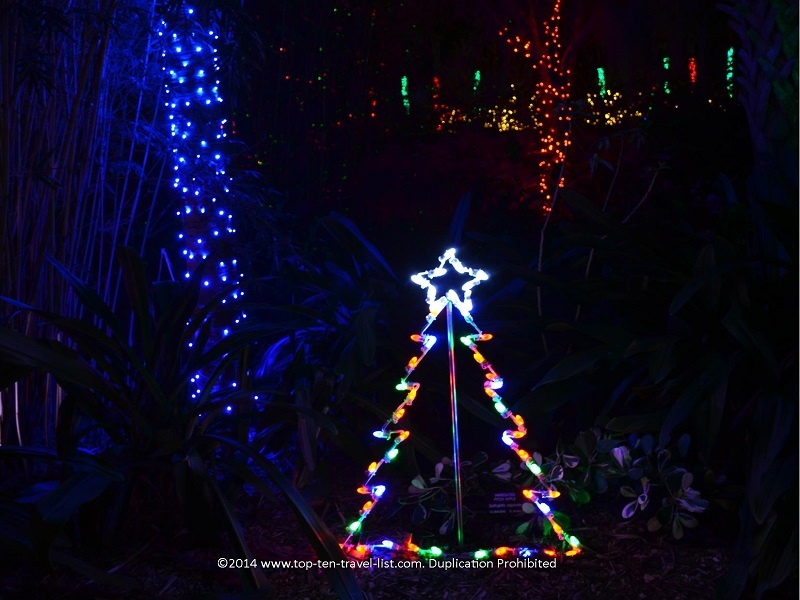 Enjoy and be sure to share your personal experience at Holiday Lights in the Gardens and other festive holiday events in the Tampa Bay area! 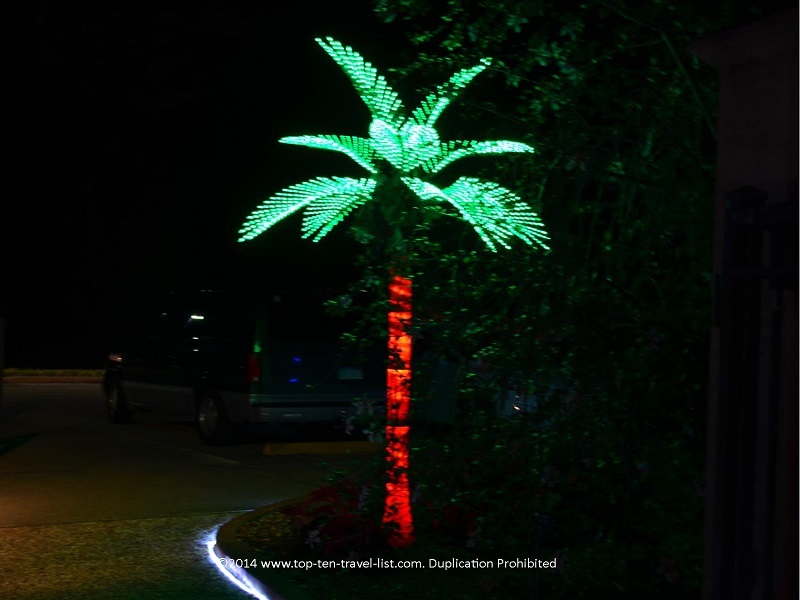 One of the unique aspects of this holiday light event over others is that you will get to see some Florida style light displays. 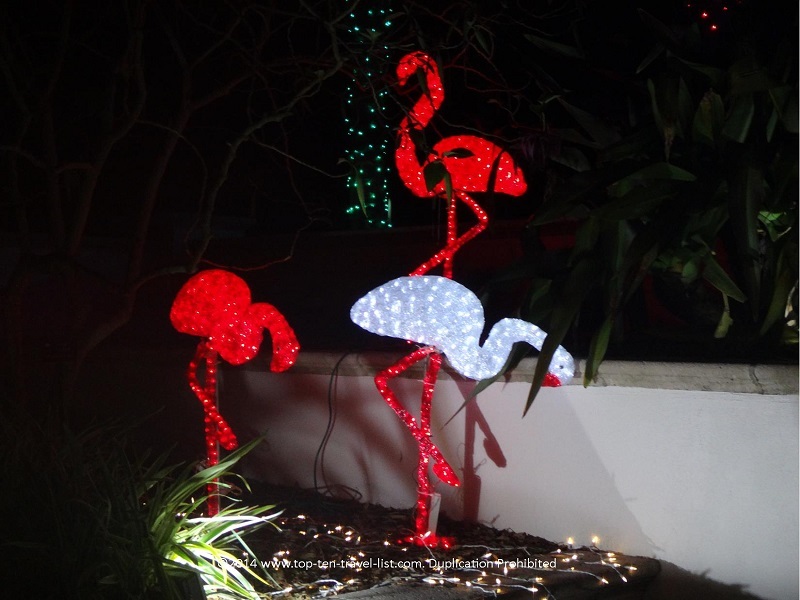 Take a look below at these unique displays! 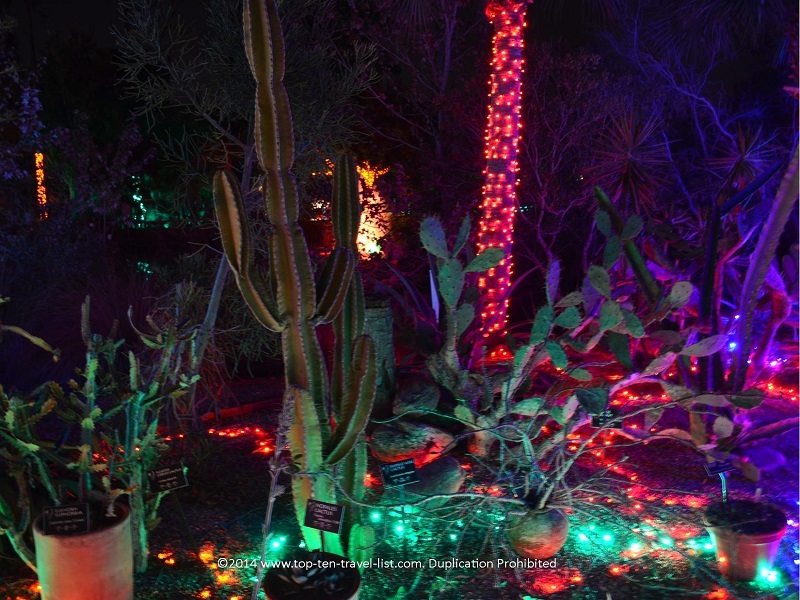 This cactus display was really fantastic! 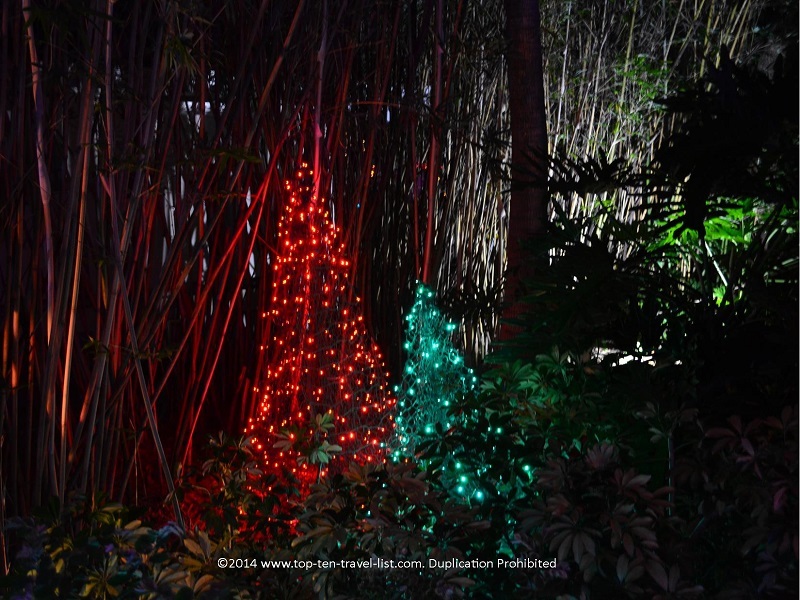 And the standout Christmas tree in the Wedding Gardens. Beautiful! 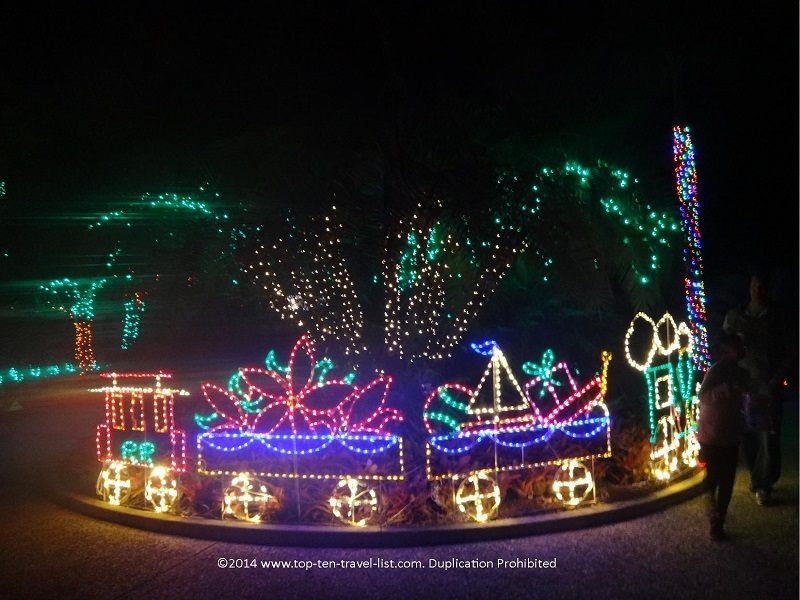 And the festive lit up train adds the perfect seasonal touch! 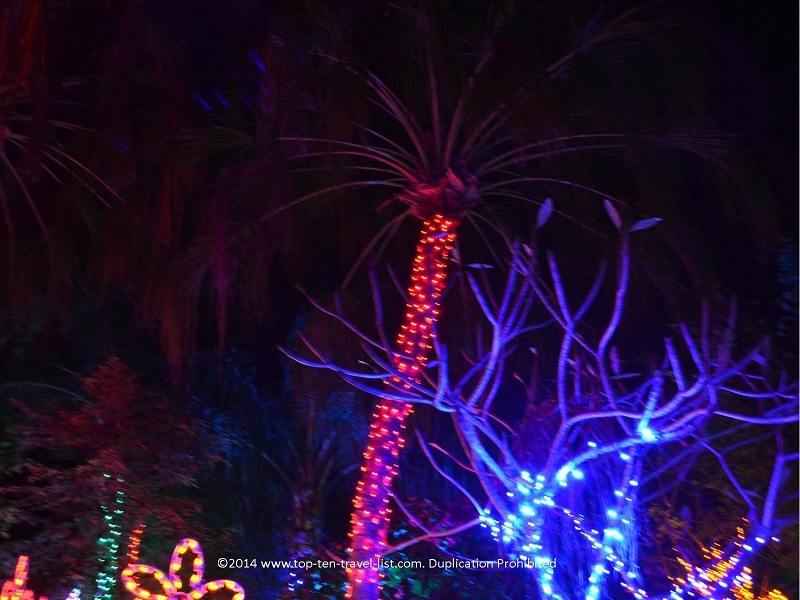 Address: Florida Botanical Gardens is located at: 12520 Ulmerton Road Largo, FL. Largo is a Tampa suburb located just south of Clearwater and 40 minutes or so from the Tampa area. 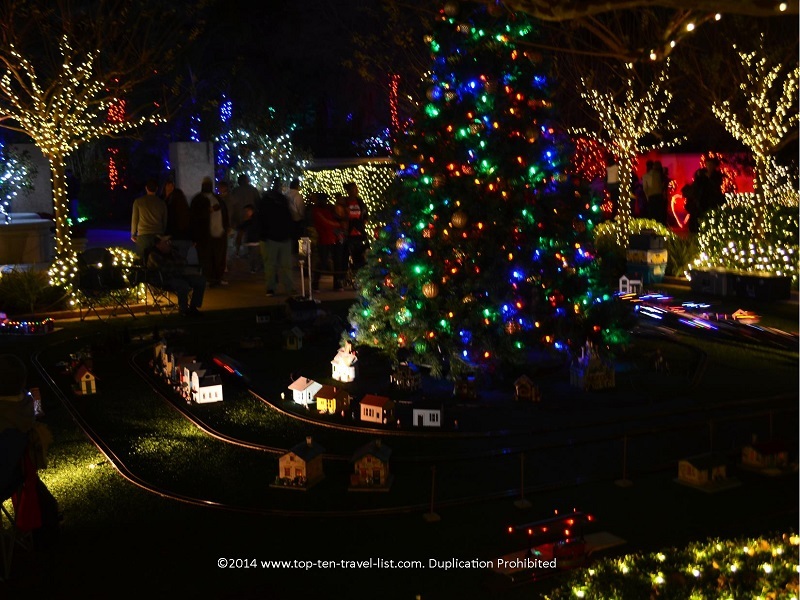 Admission: Suggested donation is $4 per adult. Children under 12 are free. Parking is free. 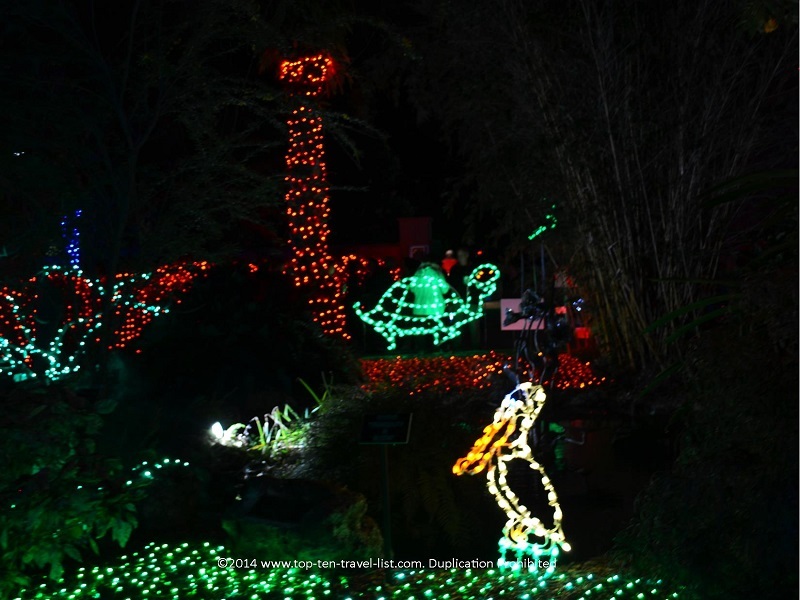 Dates & Hours: This year’s display will run from November 28-December 31st. Hours are 5:30pm-9:30pm. Visit on a weekday for fewer crowds. 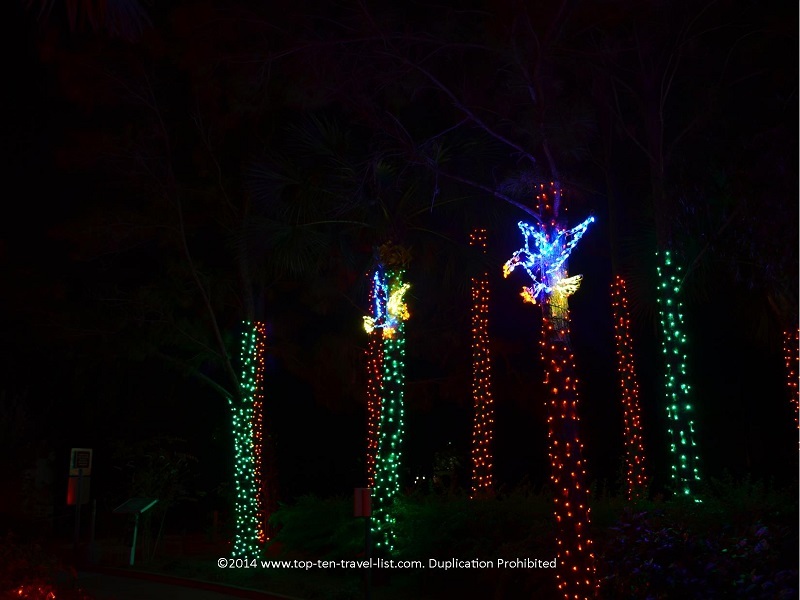 Have you attended the Florida Botanical Gardens Holiday Lights display? 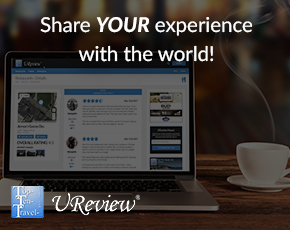 Share your experience from this year or any prior years in the comments below. 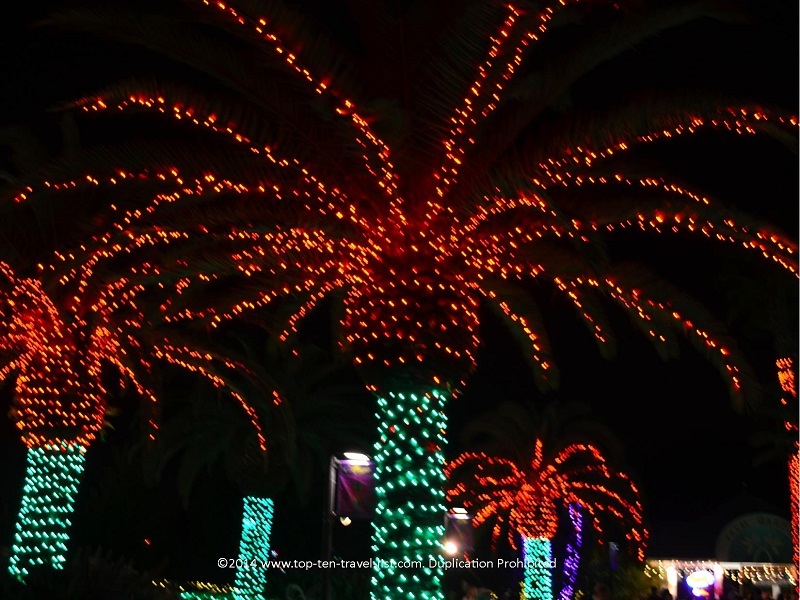 In addition, feel free to recommend any other Tampa Bay holiday events and activities! 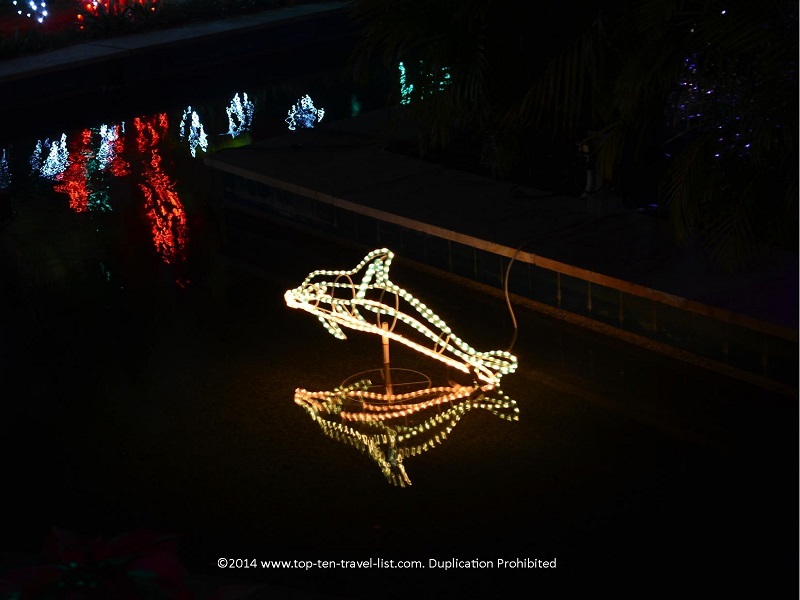 Christmas in Tampa Bay: Snow, Holiday Boat Parades, Tree Lightings & More!